I'm sure I'm not the only one who got super excited back in September when Kat Von D's makeup finally touched down in the UK at Debenhams, and the other day when I was scrolling through the Love the Sales website - a website that hosts every sale item from 100’s of retailers and 1000’s of brands altogether in one place, I couldn't believe it when I saw some Kat Von D makeup reduced with a few pounds off, I believe this was because Debenhams had an offer across their website at the time. If you havent checked out the Love the Sales website before then I'd highly recommend you have a nosey, I use it all the time because it makes sale shopping so easy and theres literally something for everyone on there from beauty, fashion, electronics, home, garden, sports, gifts or anything else that takes your fancy, it's been such a helping hand for my Christmas shopping I tell ya, anywhoo onto the Kat Von D Shade And Light Eye Shadow Palette he he. 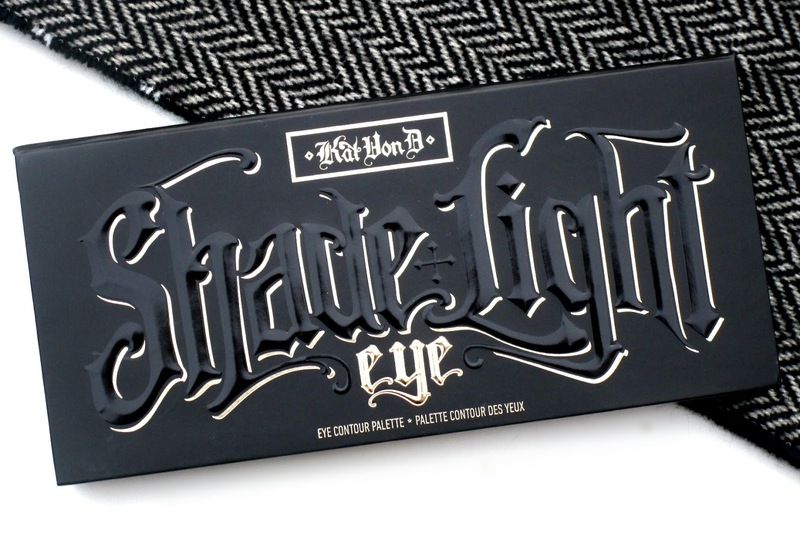 The Kat Von D Shade And Light Eye Shadow Palette* is loaded with twelve all matte eye shadows especially-designed for eye contouring. 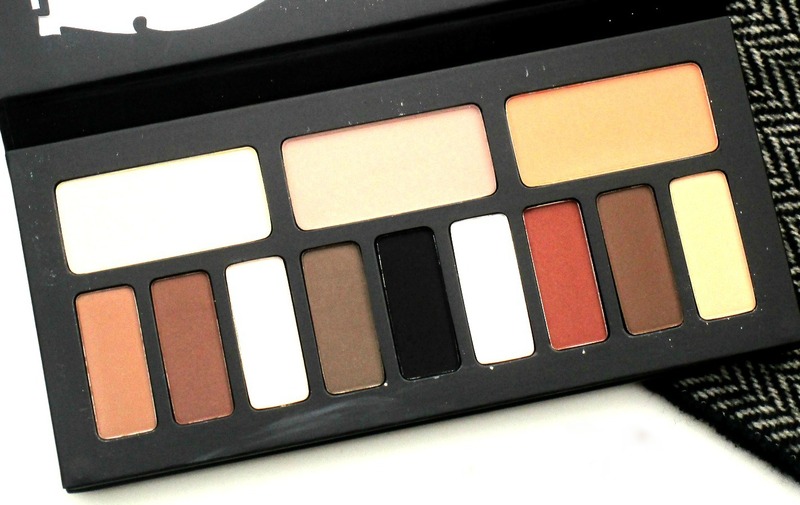 The twelve eye shadows within the palette are arranged in three quads which I think is such a nifty little design, you get a neutral, cool, and warm quad which you can either use all four together or you can mix and match all the shades until your heart desires which is what I always do. 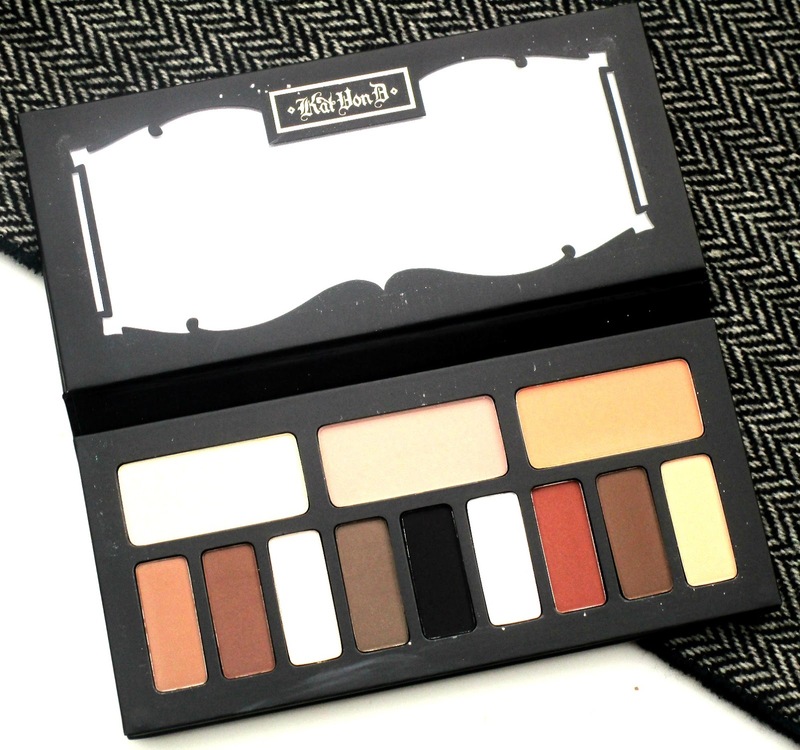 The formula of each of the eye shadows within the Shade And Light palette is amazing, being quite new to Kat Von D makeup I really didn't know what to expect but wow, each eyeshadow is well pigmented, silky soft to swatch without any powdery residue or fall out, blends unbelievably well and lasts all day on my oily eyelids. I think the colour combinations work so well together too and you can easily go from day to night with this palette. I also like to use the larger 'base' eye shadows on my face too-to really get the most out of this palette, the neutral quad contains a large yellow-y beige shade great for using as a make shift banana powder, the cool quad contains a large taupe shade perfect for contouring and the warm quad contains a large dusty peach shade perfect for a soft blush look, pretty cool hey. Packaging wise... I love it! It has a dark grungy look about it and the palette itself actually feels quite heavy and substantial in my hand, so I know it's going to last well. Theres also a large mirror inside the lid which is always appreciated and size of the eye shadows are big too, much bigger than the segments that you get in an urban decay palette for instance so you definitely get your moneys worth here. Overall I absolutely love this Kat Von D Shade And Light Eye Shadow Palette and am so happy I saw it on the Love the Sales website. I've actually got my eye on a few things from their Perfume Sale at the moment which would make great Christmas prezzies, and if your looking for the best deals over Black Friday and Cyber Monday then definitely check out Love the Sales as they will be sharing ALL the bargains in one place, yay! 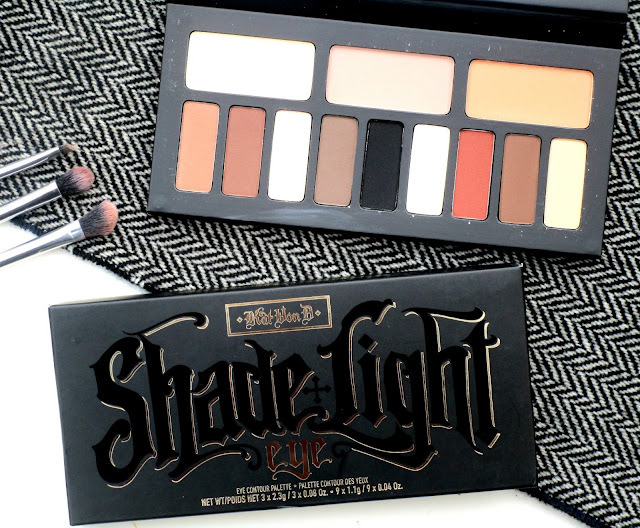 Have you got the Kat Von D 'Shade And Light' Eye Shadow Palette beaut's? What do you think? I'd love to know!